February 20th is National Love Your Pet Day! ... Make your furry friend happy by shopping at Goodwill for toys, dishes, blankets, clothes and so much more! Granger Smith is coming to Milwaukee on March 23rd, and we want to put you in the front row! All you have to do is “gear up!” That’s right, show us your best concert style using clothing from Goodwill. Share your photo with us, then tell your pals to vote, for your chance at a VIP Granger Smith concert experience! That's right, on the 15th of every month we celebrate YOU—our Club Goodwill REwards members! So show yourself some love and shop Goodwill this Thursday and save more when you spend more! Spend $15, save 15%. Spend $20, save 20%. Spend $25 or more, save 25% on your total purchase! We can't believe it's already been one year since we opened our doors at the Goodwill Store & Donation Center in Bourbonnais! 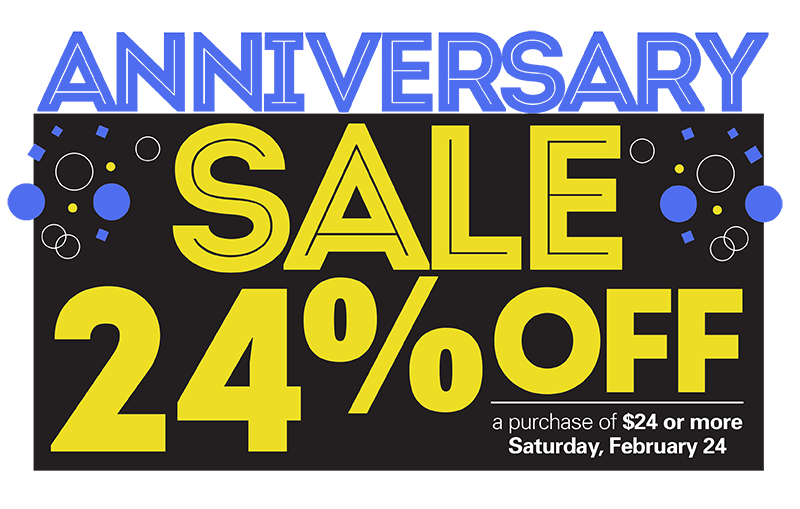 To celebrate this milestone, we're offering 24% your entire purchase when you spend $24 or more on February 24th! Love is on the airwaves! 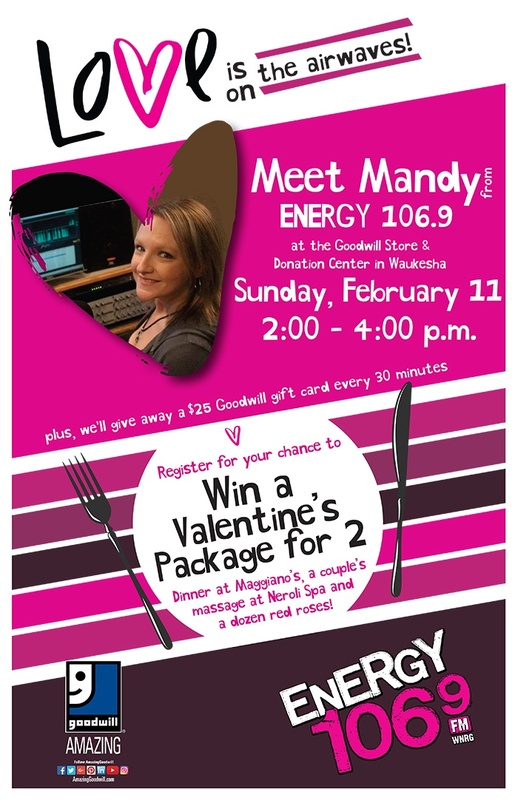 Come meet Mandy from ENERGY 106.9 on Sunday, February 11, from 2–4 p.m. at the Goodwill Store & Donation Center in Waukesha.